An entertaining afternoon at the Green Elephants Stadium saw Whitehawk leave with all three points. 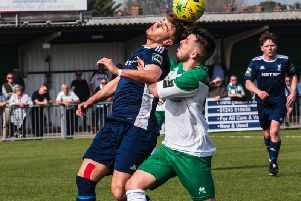 Both Ben Pope and Andre McCollin opened their Hillians accounts, but their goals were in vain, as Whitehawk left the Green Elephants Stadium with the points. You can see the highlights below.